The 8 Mile Bend band from Savannah, GA is ready to be the band of choice for your next event. They have performed together since 1996 at nightclubs, private parties, corporate events, and weddings. Voted Best Live Band in Savannah, GA in the Connect Savannah Reader's Poll, the band plays a wide variety of music. Whatever your next event is, let the 8 Mile Bend Band provide the live entertainment. The 8MB has played numerous big events in the Savannah and surrounding area from Florida, Alabama, Tennessee, South Carolina, North Carolina and all points in between ! Equally at home playing country, rock, pop, or oldies, the 8 Mile Bend has a very diverse song list. A 6 person outfit that includes vocals, guitars, keyboards, drums, and bass, the 8 Mile Bend has 6 vocalists that share singing duties. The 8 Mile Bend also has top of the line instruments and a premium name brand sound system. Given enough time we can take special song requests from our clients to perform at their event. 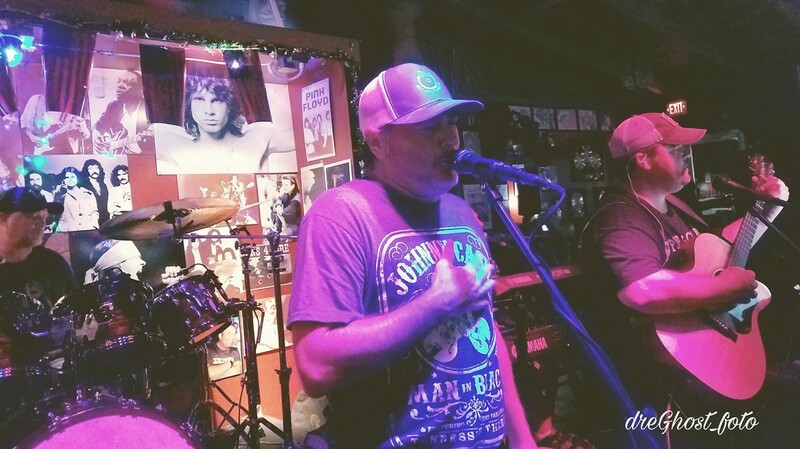 So if you are looking for a group with tight vocal harmonies and great musicians, just read our reviews and you will see what others have seen....The 8 Mile Bend is the band to get at your next event. Searching for the right live entertainment for your wedding, corporate event, festival or other celebration? Look no further! The experience, repertoire, and professionalism of 8 Mile Bend will deliver a fun, energetic performance that will please every audience and have your guests raving for more! We will work with you to tailor our song selection and performance schedule for your celebration. Whether you are expecting 5 guests or 5,000 guests, let us help make your special event the talk of the town! Please check out our "Testimonials" tab and you will see what some of our previous and current clients have to say about us !